Imbolc, or Imbolg, is one of the lesser known festivals of the ancient Celts, but it was one of the four most important festivals in the Celtic calendar. For this ancient society, the year revolved around two main points; on the one hand, since the Celts were an agricultural society, everything was based around the harvest. On the other hand, they also had an in-depth knowledge about the alignment of the sun and stars, which history suggests had great significance for them. So their calendar was neatly divided up into four quarters, with a festival to celebrate reaching each one. 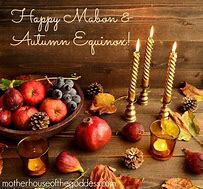 The year started with Samhain at the end of October, when the harvest was in full swing, to prepare for the onset of winter. In Celtic philosophy, light must always follow dark, so this is why their year began on such a sombre note. Bealtaine at the beginning of May marked the coming of summer, the beginning of sowing crops, and the light half of the year, and was the biggest and happiest celebration. In between were Lughnasa in August, marking the beginning of the harvest, and Imbolc in February, to celebrate the beginning of spring. Previous Previous post: A Pre-Happy Imbolc Greeting! Wanted to let you know about our special to you on this Beautiful Imbolc Morning!